SAP SAPPHIRE NOW and ASUG (Americas’ SAP Users’ Group), held June 4-7 in Orlando, was an unlikely place to run into a rock star. Not only did Justin Timberlake perform on the last evening of the conference, but Jon Bon Jovi spoke at one of the keynotes. Another session featured a panel of Winter Olympic and Paralympic medalists. And then there was Hasso Plattner, as close to a rock star as there is in the enterprise software universe. Hasso, the co-founder of SAP and now chairman of the SAP Supervisory Board, is one of the most respected visionaries and technology gurus in the computer industry—he even has his own university! Business leaders around the world closely watch his keynotes at SAP SAPPHIRE, and make major corporate and technology decisions based on his statements. So it was exciting when Hasso gave a shout out to Intel® Optane™ DC Persistent Memory during his keynote address on June 6th. He included the new memory and storage technology as one of the top five innovations in the new SAP HANA Data Management Suite*—a framework for reducing the complexity of delivering intelligent enterprise applications, driven in part by consolidation of data into fewer data stores. Figure 1. Hasso Plattner Keynote - SAP HANA* fast start time with Intel® Optane™ DC persistent memory. Intel had just shared the first in-depth look at the new Intel® Optane™ DC persistent memory technology on May 30th, announcing that Intel’s persistent memory will be available in capacities up to 512GB per DIMM in 2019. Hasso recalled that SAP and Intel had started co-engineering persistent memory for SAP HANA over two years ago, and now the technology is in final development. Then Hasso posed the question: What is persistent memory good for? He stated that persistent memory dramatically increases processing performance and service uptime for in-memory databases such as SAP HANA*. One of the dirty little secrets of in-memory databases is that the more terabytes of data they store, the slower the database is to start, due to the volatile nature of the server’s main memory. In the event of power loss or scheduled maintenance, all data stored in main memory, or DRAM, is lost and must be reloaded from SSDs. Hasso showed the above slide, illustrating that a 6TB SAP HANA database with traditional SSD storage takes 50 minutes to come down and another 50 minutes to come up—and that doesn’t include the time in the middle where your DBA does her maintenance or applies patches and then runs tests. So in a real-life situation, total time that the database isn’t running could easily top three hours—a looong time for a mission-critical enterprise database to be out of service. However, SAP HANA 2.0 SPS 03* running on servers that combine Intel® Optane™ DC persistent memory with DRAM radically changes that equation. Hasso showed that the addition of Intel® Optane™ DC persistent memory to the server configuration running that same 6TB dataset reduced the start time of the SAP HANA platform to 4 minutes, a reduction of 12.5x. (For a quick overview of news from Hasso’s keynote, watch my Facebook Live video. Figure 2. 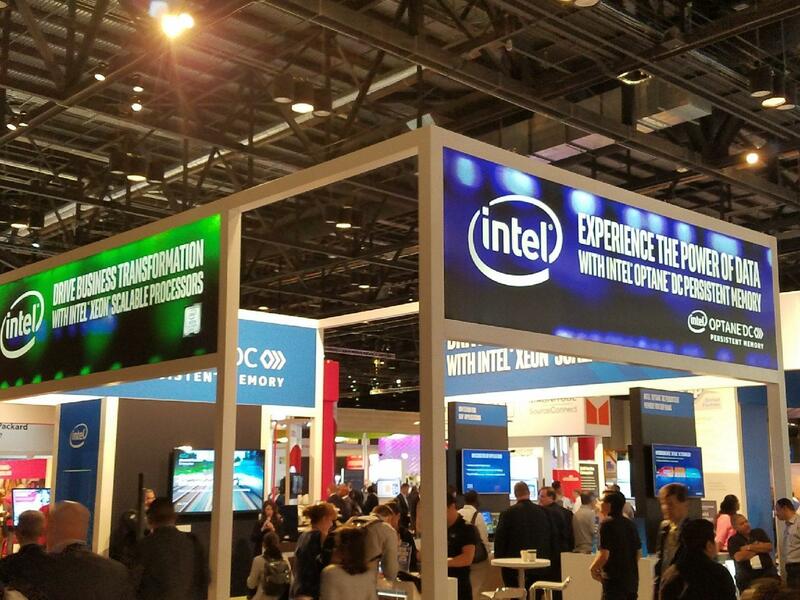 Tim Allen about to introduce Intel® Optane™ DC persistent memory in the Lenovo booth at SAP SAPPHIRE 2018. Hasso also mentioned the optimization of dynamic tiered memory for SAP HANA platforms as another key benefit of Intel® Optane™ DC persistent memory. For in-memory databases, memory and storage is partitioned into three tiers. Hot data is the data that your system accesses most often, and is maintained in main memory or DRAM. Warm data is less often accessed but still important data, which in a classic HANA architecture is stored in SAP IQ, a relational database. The so-called cold data tier is non-active data (usually sensor or IoT data) maintained for archival purposes. In the standard SAP HANA architecture, cold data is stored on SAP VORA running on Apache Spark* or Hadoop*. However, one of the problems with the classic SAP HANA tiered data structure is that SAP IQ has limited querying capabilities, which means that warm data is out of easy reach for the kind of deep querying required for machine learning and other artificial intelligence applications. That’s where the new 512GB DIMMS of Intel® Optane™ DC persistent memory come in. In conjunction with extension nodes exposed in SAP HANA, which enable deployment of a different host in the server landscape for warm data, these new, half terabyte DIMMS of persistent memory make it possible to deploy a second instance of SAP HANA for the management of warm data. In this less complex, more powerful architecture, both hot and warm data can be queried and managed in real time by SAP HANA, opening the opportunity for even faster and smarter analytics and more dynamic, proactive business strategies. 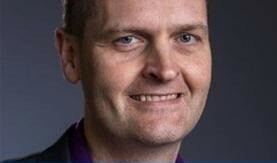 For SAP’s view on increased Intel® Optane™ DC persistent memory and its impact on higher capacity computing and improved start times on SAP HANA, read this blog by Chris Hallenbeck, senior vice president for database and data management, GTM and innovation at SAP. For more information on Intel® Optane™ DC persistent memory and its role in the SAP HANA Data Management Suite, read this blog from Daniel Schneiss, SAP senior vice president for SAP HANA development. SAP will continue to innovate on its new SAP HANA Data Management Suite to optimize data management and governance throughout the enterprise, no matter where data is stored and processed. Working in conjunction with partners like Intel, SAP will lead the way in reducing the complexity of data orchestration and management through new management features and consolidation of data into fewer data stores. How are Intel and SAP are revolutionizing the next generation of in-memory computing with Intel® Optane™ DC persistent memory and SAP HANA 2.0 SPS 03? Find out by reading this technical brief, or downloading this infographic. Follow me at @TimIntel for the latest news on Intel and SAP.